Hedge funds and large money managers usually invest with a focus on the long-term horizon and, therefore, short-lived dips on the charts, usually don’t make them change their opinion towards a company. The second half of 2015 and the first few months of this year was a stressful period for hedge funds. However, things have been taking a turn for the better in the second half of this year. Small-cap stocks which hedge funds are usually overweight outperformed the market by double digits and it may be a good time to pay attention to hedge funds’ picks before it is too late. In this article we are going to analyze the hedge fund sentiment towards Randgold Resources Ltd. (ADR) (NASDAQ:GOLD) to find out whether it was one of their high conviction long-term ideas. Hedge fund interest in Randgold Resources Ltd. (ADR) (NASDAQ:GOLD) shares was flat during the third quarter. This is usually a negative indicator. 18 hedge funds owned the stock on September 30, same as a quarter earlier. The level and the change in hedge fund popularity aren’t the only variables you need to analyze to decipher hedge funds’ perspectives. A stock may witness a boost in popularity but it may still be less popular than similarly priced stocks. That’s why at the end of this article we will examine companies such as HEICO Corporation (NYSE:HEI), Guidewire Software Inc (NYSE:GWRE), and Taubman Centers, Inc. (NYSE:TCO) to gather more data points. What have hedge funds been doing with Randgold Resources Ltd. (ADR) (NASDAQ:GOLD)? At the end of the third quarter, a total of 18 of the hedge funds tracked by Insider Monkey held long positions in this stock, unchanged from one quarter earlier, clinging to a yearly high. 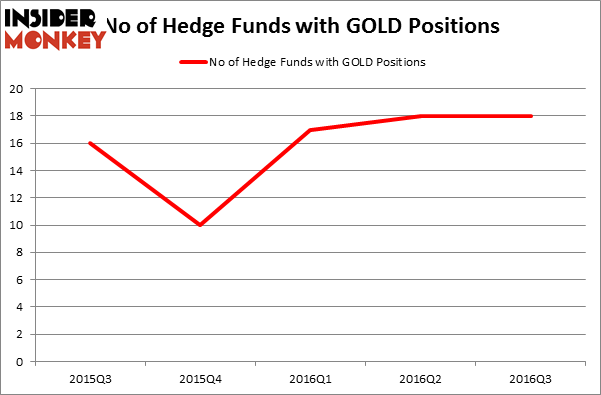 Below, you can check out the change in hedge fund sentiment towards GOLD over the last 5 quarters. So, let’s review which hedge funds were among the top holders of the stock and which hedge funds were making big moves. 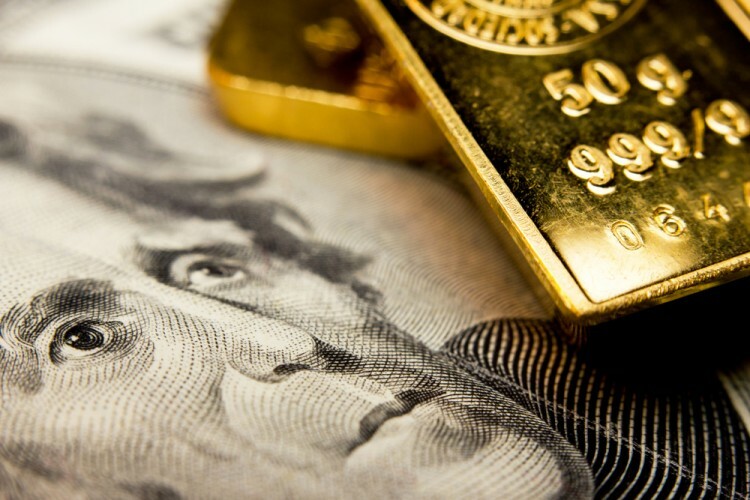 According to publicly available hedge fund and institutional investor holdings data compiled by Insider Monkey, John Paulson’s Paulson & Co has the most valuable position in Randgold Resources Ltd. (ADR) (NASDAQ:GOLD), worth close to $50 million. Coming in second is Richard Driehaus’ Driehaus Capital which holds a $34.2 million position; the fund has 1.2% of its 13F portfolio invested in the stock. Remaining peers with similar optimism encompass Matthew Hulsizer’s PEAK6 Capital Management, Eric Sprott’s Sprott Asset Management, and David Halpert’s Prince Street Capital Management. We should note that Sprott Asset Management is among our list of the 100 best performing hedge funds which is based on the performance of their 13F long positions in non-microcap stocks. Has Hedge Fund Ownership in Welltower Inc. (HCN) Finally Bottomed Out? Biotech Movers: Heat Biologics Inc (HTBX) And Achaogen Inc (AKAO) How Big Lots, Inc. (BIG) Stacks Up To Its Peers Infosys Ltd ADR (INFY): Are Hedge Funds Right About This Stock? Is WebMD Health Corp. (WBMD) A Good Stock To Buy? Should You Buy BJ’s Restaurants, Inc. (BJRI)?